If you are holidaying abroad, travel insurance is viewed by most to be a necessity. Medical costs, particularly in USA are astronomical. If you have an accident or fall ill, the first thing you will be asked for are your insurance documents. In-patient treatment would cost you tens of thousands of pounds, if not more. In Europe, UK citizens have the benefit of the European Health Insurance Card (EHIC) which gives access to health care but this is not entirely comprehensive and not always completely free. It is strongly recommended that you take out your own travel insurance. The EHIC for instance, would not cover the cost of bringing you home if you were seriously ill. Also travel insurance covers cancellations, delays, lost luggage, personal liability as well as medical emergencies. Holidays are times for relaxing and forgetting the rigours of everyday life. To give yourself complete peace of mind, travel insurance is essential. As with all insurances, the choice is vast and often confusing. Our aim at Money Discount Centre is to help you find the most appropriate travel insurance at the best possible price. There are many aspects to consider when selecting travel insurance. Destination is the first, as you can buy insurance for cover in Europe or worldwide, the latter of which is obviously more expensive. If you are a frequent traveller, annual insurance may be cheaper than multiple single trips. The length of your holiday is also a factor as most insurers limit cover to thirty-one days. Family travel insurance is a cheaper option than insuring individuals, with some insurers offering free insurance to children. Those who travel for longer periods, such as young people taking a gap year, should enquire about backpackers insurance. You'll also find packages for winter sports and adventure holidays. Owing to the added risks involved, those premiums will be higher. When booking a holiday, most travel agents offer insurance. This may not be your cheapest or best option. Money Discount Centre's up to date data base will guide you through your many choices. Before taking out any travel insurance, check that you are not already covered via other means. 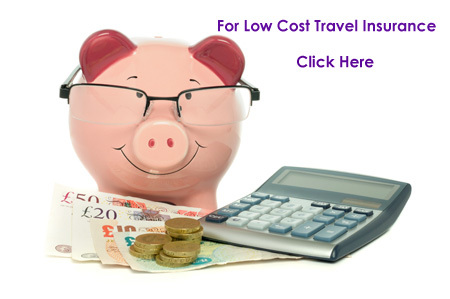 Certain bank accounts offer annual travel cover as do certain home insurances. Always remember to declare existing medical conditions and whether or not you have made claims in the past. If you are an active person, check if any holiday activities are excluded. Always read the small print so that you are aware of any exclusions. Once you have decided the type of cover you need, Money Discount Centre can help you compare like with like, so that you can choose the best policy at the lowest available price.